Do you have a monthly mortgage payment but get paid every two weeks? One of the simplest ways to reduce the total interest you pay is to split your mortgage payment in half and pay that amount every two weeks. This is one of the best tricks in the book for saving money on your mortgage and paying it off faster. You’re not likely to notice the extra amount you are paying off each month, but it can make a big difference over the entire mortgage. When you sign up for bi-weekly mortgage payments, your lender will require a payment every other week. This payment will amount to half your regular mortgage payment, so if you pay $1,000 a month on your mortgage, every other week your lender will take $500 in payment. Normally, the payments come out on Friday. And, often, those on bi-weekly schedules are paid on Friday (every other Friday). It’s usually possible to sign up for direct withdrawal, so the whole thing happens automatically, and you don’t have to worry about sending in a cheque every two weeks. Since there are some months with five Fridays, instead of four, there will be months when you are paid (and your mortgage comes out) three times, on the first, third, and fifth Friday of the month. So, instead of making 12 payments each year, you are making 26 bi-weekly payments each year. In monthly terms, if you made payments twice a month, you would only be making 24 payments. So, as you can see, the advantage is that it’s like paying an extra month directly to the principal every year (since your two extra bi-weekly payments combine to make one full monthly payment). Since you are making the equivalent of one extra monthly mortgage payment each year, you will pay off your mortgage sooner. This means that you will have interest savings as well as time savings. The sooner you pay off your mortgage, the more money you save. As an example, if you have a $200,000 mortgage for 25 years @ 5%, you would pay $148,963 in interest over that time period. 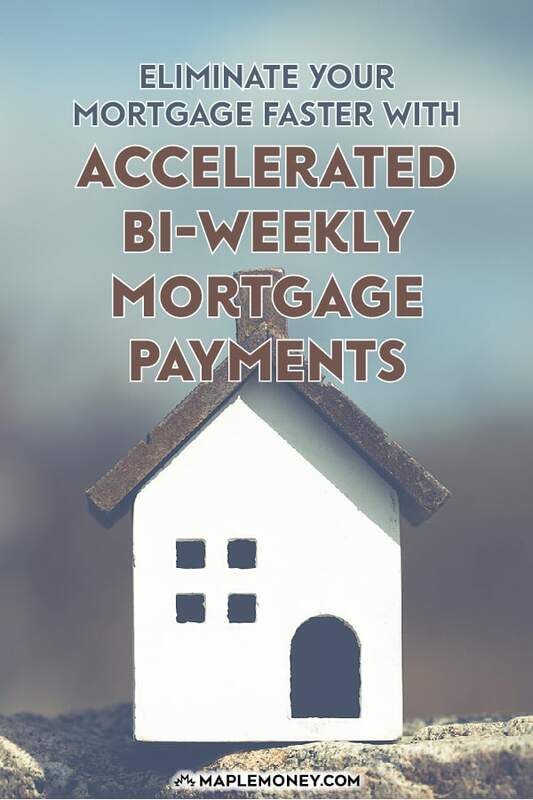 By switching to an accelerated bi-weekly mortgage payment you would pay $124,095 in interest and will have the mortgage paid off in 22 years. So in this example, making this small change to your payments you would save almost $25,000, and you would be mortgage free 3 years sooner! One of the great things about the bi-weekly mortgage payment is that you are unlikely to have it cut into your lifestyle at all, especially if you are paid on a bi-weekly schedule. You can set up your mortgage payments to coincide with your paycheck, and you will find that you have just what you need each time. It’s a relatively painless way to better your financial situation long term, and pay off your mortgage debt that much faster. This system can also work for those who are paid every week. Most lenders won’t let you make a weekly payment, though. However, you can still do a bi-weekly payment and have enough money in the bank to meet your needs. What do you think? Would an accelerated bi-weekly payment work for you? Great article, brief, direct to the point, with an example. Found your blog through another blogger’s site. Added you to my blog roll list. Great to see a local Canadian financial/investment blogger! Thanks for the comment! And thanks for the link! The mortgages I’m used to, in the US, do not allow partial payments. A half-payment will be held until the rest arrives. The “envelope system” can implement your strategy, however. One should put aside the half payment with every paycheck. At month end when the mortgage is due, pay what you saved up. In 2 of the 12 months there will be an extra 1/2 mortgage payment. Note it on your check as extra principal. Any month you have a few extra bucks, just add it as well. 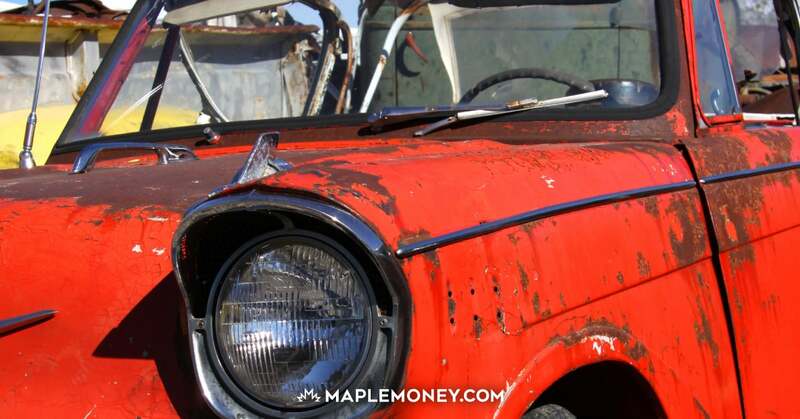 If getting rid of the mortgage is your goal this is the fastest way to do it. In canada most institutions have accelerated payment programs on top of lump sum payment option. For example TD has accelerated weekly and accelerated biweekly(annoyingly ambiguous). You can also increase your periodic mortgage payments by up to 100%. Aswell there is a lump sum payment option where you can pay up to 15% of your total mortgage amount down per year. 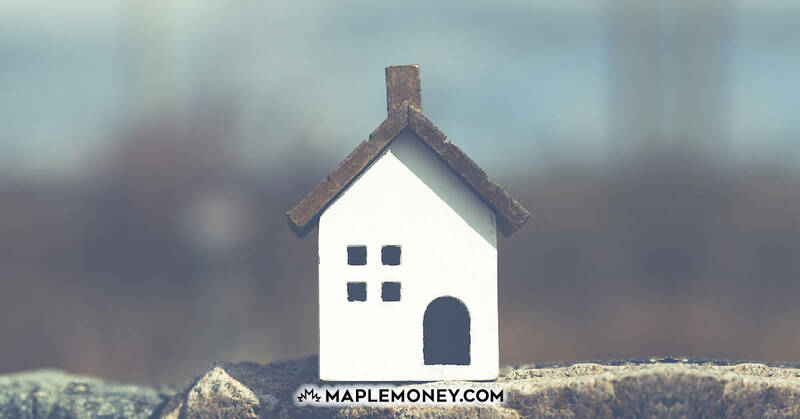 This allows you to pay off your entire mortgage in a very small amount of time while, if necessary, having the security of small monthly payments should it be necessary. An interesting analysis would be to see if paying a fee to a company to manage your biweekly payments would be worth it since some banks won’t allow an individual to do this, but they do allow a company to do it because they negotiate on behalf of hundreds of thousands of customers. I pay my mortgage (with Tangerine) weekly.